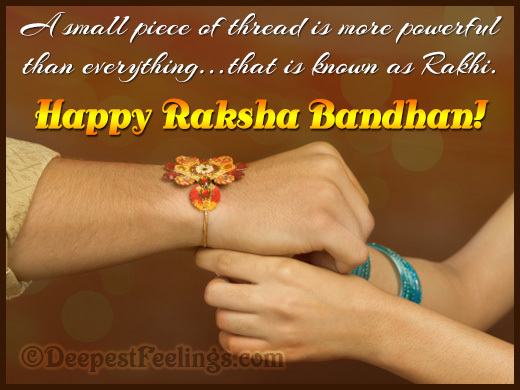 Wish your brothers and sisters on rakshabandhan day, send rakhi greetings from DeepestFeelings. 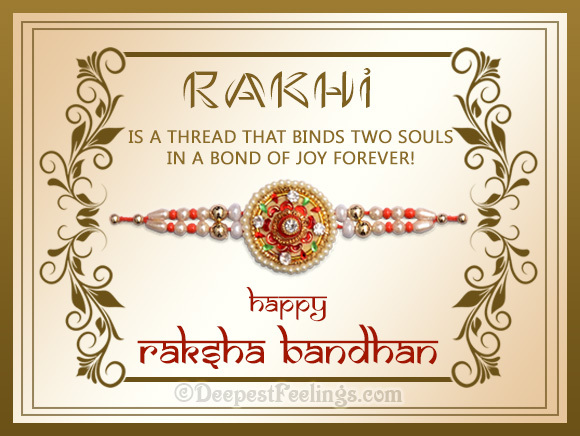 Raksha bandhan is a day whe brothers and sisters renew their love with a rakhi, a colourful, decorated string, frequently with a dial, that sisters ties in the hands of their brothers. Commemorate this wonderful occasion with rakhi ecards. 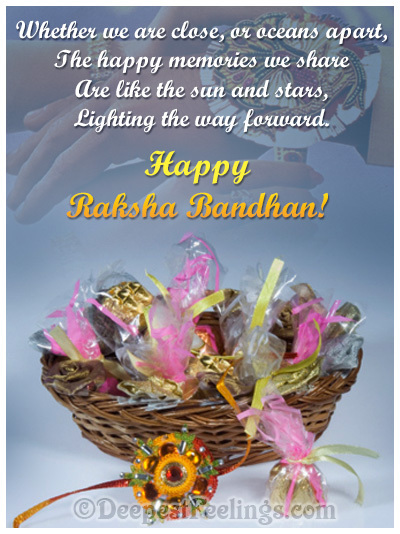 All rakhi greetings are free, so you can send as many greeting cards as you want. 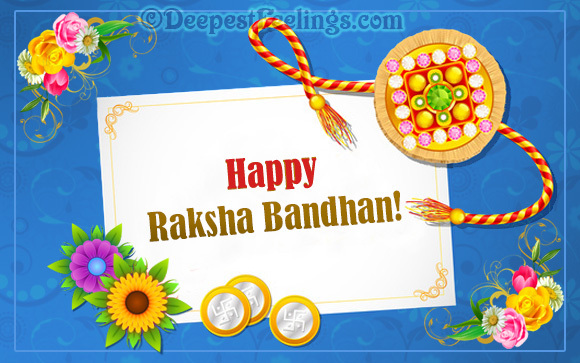 Click here to refer these Raksha Bandhan greetings to your friends.